Calcium provides the building blocks that help keep bones and teeth strong and healthy. It also supports the health of the musculoskeletal and nervous systems. Magnesium helps to regulate calcium transport and aid in the influx of calcium into bones. 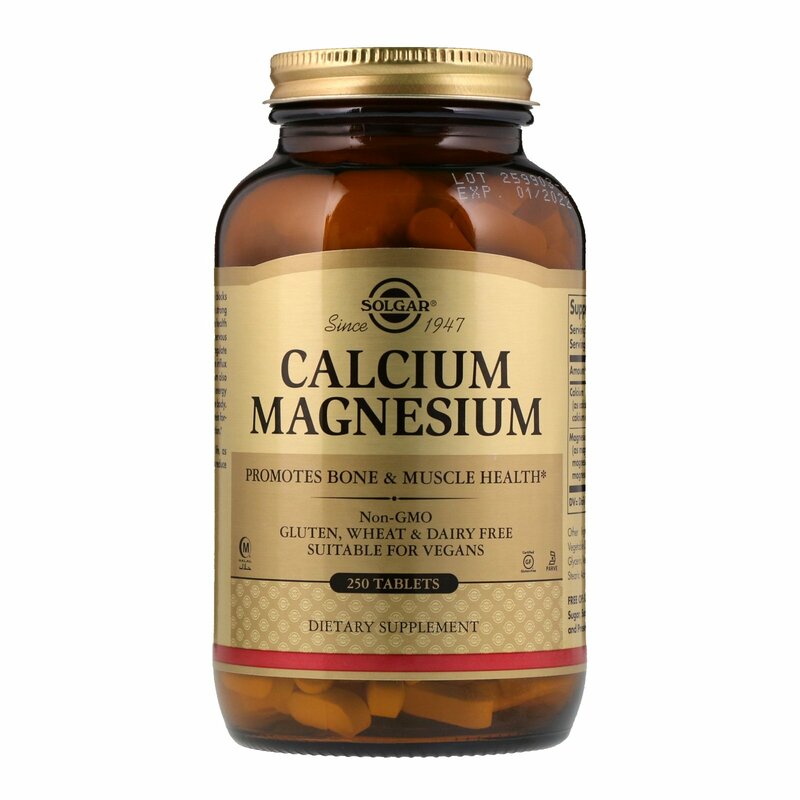 Magnesium also works with ATP to release the energy needed for many reactions in the body. 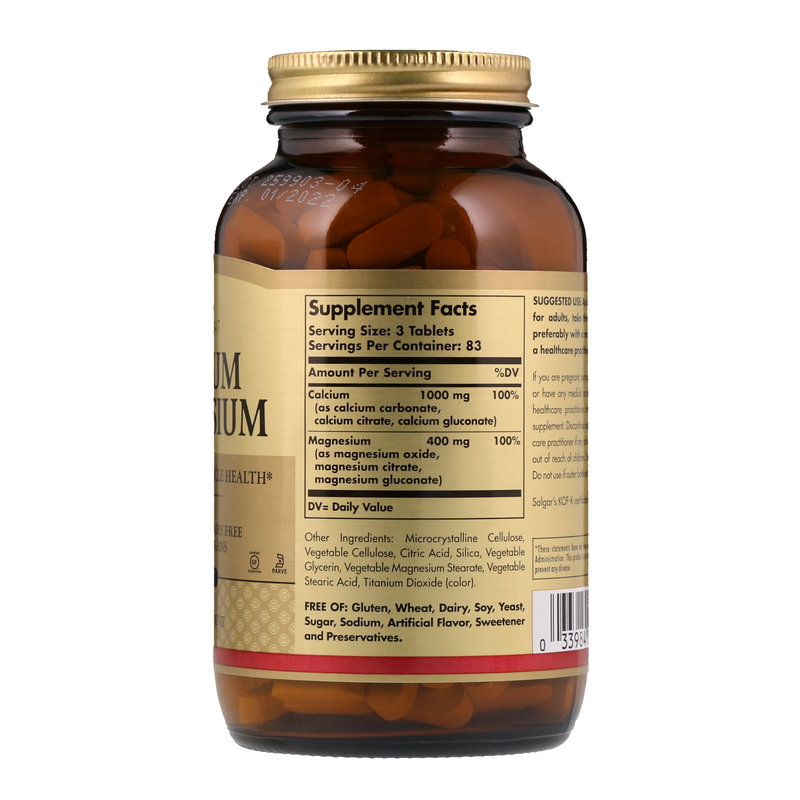 It plays an important role in protein formation and healthy muscle function. Adequate Calcium throughout life, as part of a well-balanced diet, many reduce the risk of osteoporosis. Microcrystalline cellulose, vegetable cellulose, citric acid, silica, vegetable glycerin, vegetable magnesium stearate, vegetable stearic acid, titanium dioxide (color). Free of: Gluten, wheat, dairy, soy, yeast, sugar, sodium, artificial flavor, sweetener and preservatives. If you are pregnant, nursing, taking any medication or have any medical condition, please consult your healthcare practitioner before taking any dietary supplement. Discontinue use and consult your healthcare practitioner if any adverse reactions occur. Keep out of reach of children. Store at room temperature. Do not use if outer bottle seal is missing or damaged.